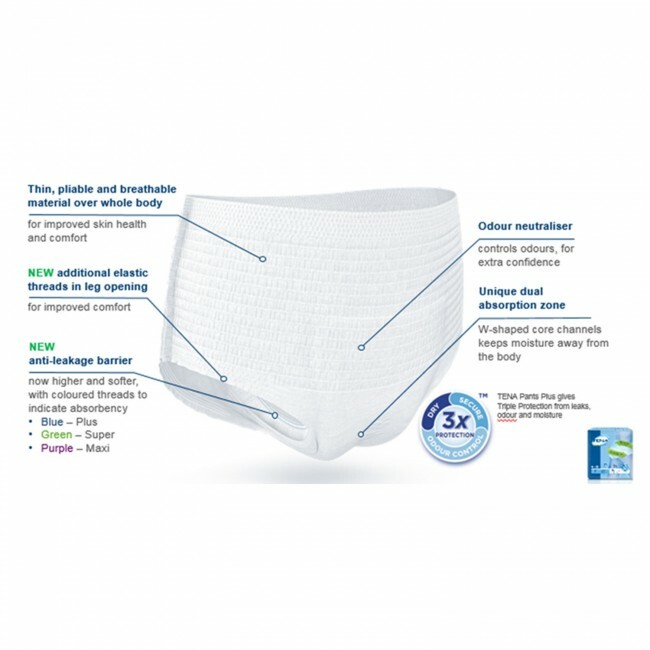 Tena Pants Plus are soft and breathable material pants designed for managing moderate to heavy incontinence. The pants are designed with a stretchy and soft material that allows air to circulate for optimum skin health and comfort. The pants provide a body-close fit for improved comfort and discretion and have a thin flexible core shape to offer the user an accurate and secure fit. 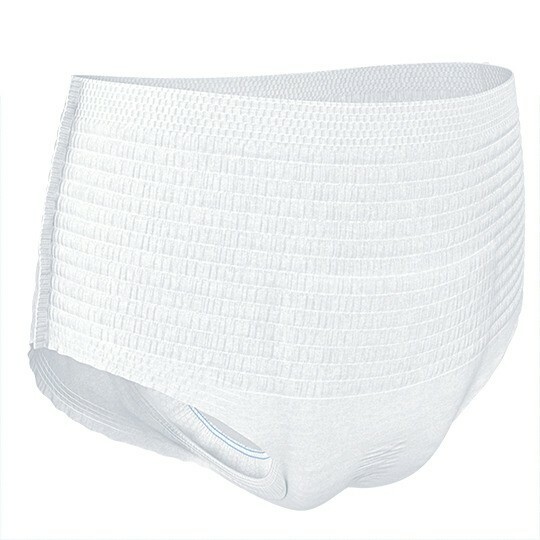 Tena Pants are available in a range of absorbencies and are suitable for both men and women. The pants feature integrated leakage barriers to provide additional security, ensuring you feel dry, secure and confident throughout the day. A special odour neutralizer is included in the core of the pants in order to reduce the effect of ammonia and neutralise unwanted odour to keep the user feeling fresh and pleasant. The thin and flexible core shape of the product forms the Dual Absorption Zone made of two absorption chambers that efficiently channel moisture away from the body. This feature keeps you feeling dry and ensures any urine is kept away from your skin throughout the day. 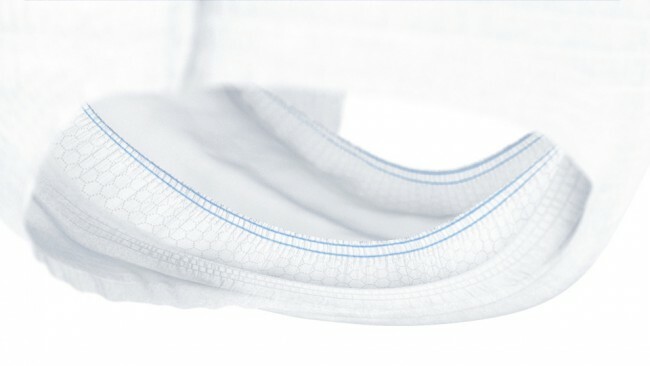 A unique dual absorption zone is included in the pads for optimum dryness and protection during use. 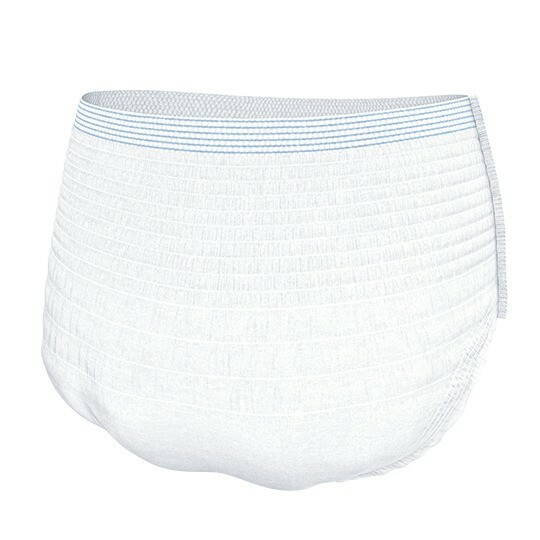 The pants are designed in a subtle light blue colour.